Toxins like free radicals or similar entities which affect our normal body metabolism resulting in disease condition are eliminated from the body with the help of Panchakarma. There are more methods mentioned in Ayurveda to Detoxify our Body as well as mind but the five mentioned above are the most effective ones. Detoxify yourself in just 7 days. In addition to the regular 1 month, 21 days, and 15 days Panchakarma treatment, Ayurclinic Goa also offers a shorter 7 day Power Panchakarma treatment specially designed to be as effective as the regular 15 day Panchakarma treatment. This treatment is more suitable for patients who are short on time. 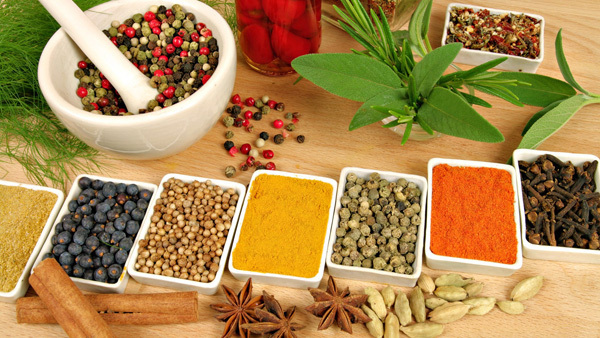 Ayurveda is a Science of life, which not only treats our disease condition but also guides us to remain healthy and avoid possible health problems. The body is a complex machine which works nonstop from birth (or even before birth) till Death. But do we give our body the attention that it deserves and requires? Most of us will answer in the negative. We take our body for granted and neglect it throughout our life even though it is crying out for our help, until it becomes too tired to handle any more stress (mental or physical), physical torture and toxins from all possible sources. And that's when we wake up to know that we are suffering from a disease which sometimes doesn't have any cure and the patient has to live with it for his or her entire lifetime. Even for our motor car we have regular servicing schedules and we see that we abide by that, and we do regular servicing, oil replacement, etc. But even though the body is such a complex machine, when have we done the much needed servicing of our body? Doesn't the body require similar servicing, if not every month than at least once a year? How does Power Panchakarma work? There are three Doshas(Humors) in our body, i.e. Vata, Pitta and Kapha. The balanced state of these Doshas is responsible or necessary to maintain the Body equilibrium i.e. Health. Any disease or Health problem is caused by imbalance of these 3 Doshas. And our day to day busy, stressful routine, disturbed food habits, lack of sound sleep etc. are some of the causes of these imbalanced Doshas. With just Oral medications, we can get rid of the diseases in preliminary stage, but for advanced stages & Chronic ailments we should look beyond the oral medications, as the deep seated imbalanced Doshas start to toxify the body and are difficult to treat. Panchakarma is the only procedure to Detoxifies body and brings back the balance of Doshas without any side effects. Each procedure among the Panchakarma Procedure has its importance and specific timing for it to be done for healthy person. But for the person having disease there are no specific restrictions as disease condition itself is suggestive of the Panchakarma requirement by the ailing Body & Mind. How do Toxins enter our body? Most of us have Toxins in our body because we treat our body like a trash bin and dump it with so many unwanted stuff, unhealthy foods (like fast foods, canned foods, preserved food etc) which later lead to serious disease condition. Apart from the unhealthy eating habits there are other factors which are affecting our health & pouring toxins in our body like air pollution, water pollution, chemicals, pesticides etc. which are hazards of modern day living and are difficult to avoid. I do not have any problem, does that mean I don't have toxins in my Body? No. That means toxins are not enough to manifest in disease form. Toxins slowly get accumulated in the body and once they have accumulated substantially, they manifest in the form of Disease. So presently if you do not have any problem, it means they are not substantial enough to create disease. But surely they are accumulating and in near future you might have problems. So are we ready to face the upcoming problems? What are we doing to protect our body from all this? Is it not our duty to protect our precious body by keeping it Healthy. It is rightly said by someone that "We spend half of our Life in Earning Money and the remaining Half we spend Money in Earning Health". What is the use of such long life if we are not healthy enough to Enjoy it. This is where Ayurveda comes for our rescue by advising Panchakarma- Five Detoxifying Procedures along with Diet, to keep you healthy, that too…. lifelong. Can a healthy person undergo Power Panchakarma? Panchakarma is the only treatment which can be taken by Healthy person to maintain Health and also by unhealthy person to regain Health. Definition of Health, as many people believe is –“Not just absence of disease but Health is Physical, Mental, Social, Spiritual & emotional well being of a Person.” So now it becomes our duty to introspect, whether we are Truly Healthy? If you find anything wrong with your body or mind, then come to Ayurveda, as it treats the person & not just disease by going to the root cause of the problem. What does Ayurclinic Goa offer in its 7 day Power Panchakarma course? - Snehana (all 7 Days): External as well as Internal Oleation. Internal Oleation by taking Herbal Medicated Ghee(Clarified Butter) as suggested by Physician based on disease condition as well as Body Constitution of the patient & External Oleation by Full body massage with specialized herbal oils. - Virechana: Specialized Panchakarma which eradicates vitiated Pitta Dosha. Hence gives protection against Pitta Problems. Virechan will be done after snehana & swedana procedures are completed and body is ready to undergo the treatment. - Basti (all 7 Days): Specialized Panchakarma which eradicates vitiated Vata dosha. Hence gives protection against Vata Problems. This will be done every day with Medicated oils and Herbal decoctions. - Dhomapana: - Inhalation of Medicated Smoke of special herbs which cleanses body channels as well as Sense organs. So why wait? Give a Healthy break to your Body and get rejuvenated. Experience the power of panchakarma. If you are interested to find out the fees for our 7 day Power Panchakarma Package, or our regular Panchakarma Package, then please enter your valid email address in the form below and click the Submit button.